This study provides the Government of Lebanon and non-governmental organisations with evidence-based research on the magnitude and profile of children living or working in the streets of Lebanon, and on their socioeconomic situation. The study also assesses the cases of more than 700 Lebanese and non-Lebanese children and is the first of its kind to cover the different locations and regions in Lebanon where a relatively high incidence of children living or working on the streets persists. The purpose of this research was to improve the qualitative understanding of the winter vulnerabilities, coping strategies and priority needs of the most vulnerable Syrian refugees. Accordingly, the study’s findings and recommendations aim to to maximise the impact and effectiveness of our the humanitarian community’s winter programming for children and their families in a context where needs are continuing to increase yet funding is limited. Accordingly, the focus of the research was to probe basic winter needs, priorities, concerns preparedness and coping strategies employed by the vulnerable communities during the harsh winter season to identify negative coping strategies, particularly those relating to children and women, and develop winter assistances which will aim at reducing them. For more information on the assessment please contact the author. The report presented the findings of the external evaluation of the Fostering Women’s Entrepreneurship in the Middle East Programme for the Cherie Blair Foundation for Women and Tomorrow’s Youth Organisation. The Programme aimed to foster entrepreneurship among disadvantaged women in Lebanon and Palestine. Report findings provided practical recommendations meant to inform future programme expansion through modifications in both design and implementation. For more information about the report please contact the author. 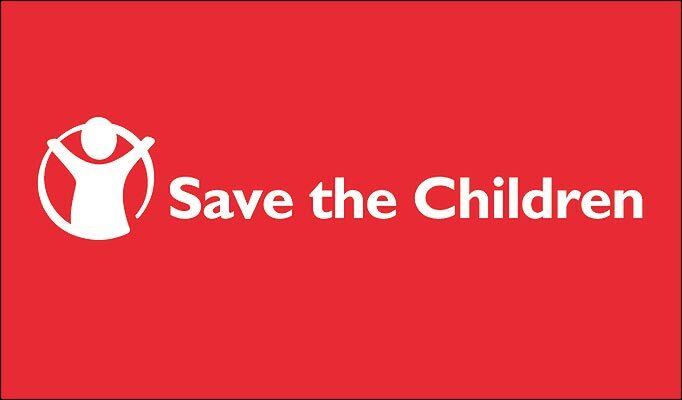 The evaluation conducted presented the findings of an external evaluation of Save the Children’s Home Based Skills Development (HBSD) Programme in Lebanon. The Programme is an innovative approach that provided assistance to women in vulnerable households in both refugee and host communities in the Akkar and Bekaa regions of Lebanon. Many of these women are often unable to participate in most work-for-cash programmes and the intervention combined a conditional cash transfer programme with home-based skills development programmes that accounted for the mobility constraints faced by both refugees as well as host community residents. The findings and practical recommendations of the report informed future programme design and implementation as well as wider organisational reform at Save the Children International in Lebanon. This report recommends policy responses to address the issue of Working Street Children (WSC) in Lebanon in a manner that is evidence-based and sustainable over the long-term. Accordingly, this report’s recommendations aim to form the basis of a wider policy response to address child labour and its developmental consequences in Lebanese society. The report finds that Lebanon suffers from a dearth of policies and capacity to address WSC and child labour at the legal, institutional and policy levels. Accordingly, this report recommends the Lebanese government implement a series of structural reforms to bolster the effectiveness of a conditional cash transfer programme and a conditional microfinance programme according to a means-tested nationality-based eligibility scheme for households that subsist below the poverty line. In line with the ethical clearance grated to the author by The University of Edinburgh, this report did not collect primary evidence from WSC. This paper seeks to provide recommendations regarding the long-term dispersal and management of aid funding in order to assist the Syrian people in rebuilding their nation following the cessation of major hostilities. The recommendations in this paper describe a framework to ensure any aid provision is effective, equitable, and realistic, while avoiding fostering aid dependency. This paper draws on international evidence to inform its recommendations, including the cases of Lebanon and Iraq, countries whose demographic composition, social structures, and typology of conflict share many similarities to that of Syria. There are inherent challenges involved in compiling policy recommendations for a post-conflict environment that remains a distant hope on the horizon. The duration and intensity of the conflict, as well as the parties involved, will obviously affect circumstances relevant to aid funding following major hostilities. The political circumstances under which the conflict concludes will also have a large bearing on the willingness of various international stakeholders to fund a post-war Syria. While these realities cannot be discounted, there remain foreseeable issues relating to the mechanisms, safeguards, and considerations of aid that need to be studied and addressed in order to rebuild physical and governmental structures in a post- conflict era. The past two and a half years have seen a surfeit of literary works and academic articles attempting to dissect the Arab uprisings. Yet few have focused on some of the region’s most autocratic regimes in the Gulf Cooperation Council (GCC) who have combined their vast wealth with an iron-fist to largely sidestep calls for reform and democratization. Christopher Davidson’s latest book After the Sheikhs: The Coming Collapse of the Gulf Monarchies is an attempt to explain the complacency of the Gulf States in a time when their region clamors for democratic reform. At first glance, the work is a courageous addition to the debate about whether these notoriously opaque autocracies will ever succumb to demands for wider representation. 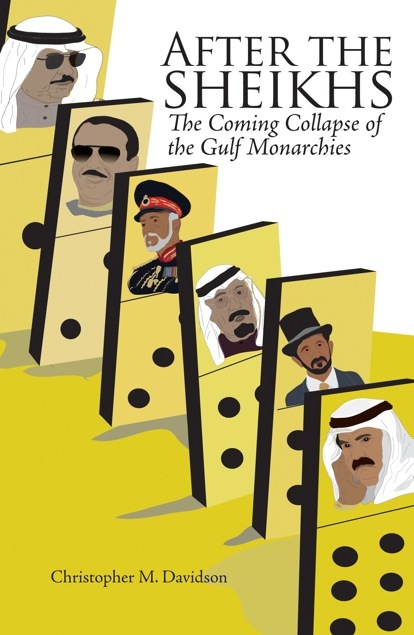 Despite its lack of any convincing arguments that portend the eventual downfall of the GCC monarchs, Foreign Policy named the book as one of it top ten for 2012, and major Western news outlets from The Independent, The Guardian, and The Huffington Post have given it a pass. The book has now been republished in a 2013 US edition. Davidson sets out to paint an alternate picture of these sheikhdoms to the inclusive, progressive and benevolent projects they espouse. Much in the same way Howard Zinn’s seminal work on American history seeks to challenge the dominant narrative, he manages to use historical context to elucidate the intricacy of these regimes’ power structures. The author picks away at the use of both domestic and external soft power underpinned by the protection of Western nations and demonization of subversive influences, especially that of Iran. His descriptions of economic diversification and the co-optation of Western academia and finance through strategic sovereign investments is a useful reminder of how these petro powerhouses have hedged their bets in seemingly every direction. Yet, in trying to convince readers that any sort of regime collapse is imminent, or even eventual, Davidson’s case is flimsy, at best. For an academic, there is little empirical evidence of the heralded collapse of the poorer Gulf states, something the author believes could occur in as little as two years. His main contention is that these undoubtedly authoritarian and oppressive regimes will be unable to support generous social spending programs and lose support from the majority of their population. This is based largely on a regurgitation of historical fact and press reports from the last five or so years, which reads like a rapid fire account of press clippings rather than a deep and accurate analysis of the GCC monarchs’ impending demise. An empirical model explaining how and when the breaking point is supposedly reached as resources decline and the demands of local populations rise never emerges. Throughout, the reader continually feels as if the narrative will lead to one, but it does not deliver. The only concrete scenario Davidson proposes is that the death of the current GCC monarchs will lead to the downfall of their regimes. Yet, while succession is an issue amongst these authoritarian regimes, the processes have historically been rather smooth, with the exception of Qatar with its feud amongst the Al Thanis. The first two chapters (around half the book) are a historical overview with a few tidbits that could be interesting for those who have no previous knowledge of the region. But it will ultimately bore anyone who has ever lived or visited the Gulf for anything more than a holiday. In the chapter titled “The Coming Collapse” he takes the reader through the pressures that regimes have faced since the uprisings spread throughout the region. One anticipates that he will at least offer some kind of scenario as to how all the inherent internal and external weaknesses will culminate in a systemic collapse, but it never occurs. Instead, Davidson tells of how the regimes largely weathered the storm through their usual combination of repression and largesse. Indeed, by the end of the chapter, and the book, Qatar even looks to be the outlier that will most likely survive his doomsday predictions. The conclusion, where Davidson anticipates that the poorer states will fall, is only nine pages long and goes through another last gasp of recent incidents rather than any final structural analysis. Even though Davidson has lived and taught in the Gulf, it’s suspect that he never considers the amount of actual vocal and vibrant support that many locals have for their rulers, much unlike the apathy and eventual anger of Arabs who eventually overthrew their autocrats. Like many other Western writers, he falls into Western ethnocentrism, overemphasizing social media as the factor that “crucially” drives subversive change amongst all Arabs, who he also seems to perceive as some kind of monolith instead of the fractured people they have proven to be. Almost as a force of habit, the Western publications that heralded Davidson, as well as the work itself, take on an orientalist approach devoid of any critical analysis around the idea that all peoples will automatically prefer the uncertainties of democratic life to a comfortable state subsidized existence. What they continue to miss is that one cannot expect to produce the kind of society-wide phenomena needed to effect a true transition resembling those from Tunisia to Yemen without a prolonged period of wide inequalities and discrimination between rich and poor, not the middle class and the uber-rich. Because, ultimately, people do not revolt when they are in a mall with a ski lift and can’t afford to buy the next iPhone. They rise up when they tire of loitering on the curb hungry and jobless as fancy cars with government plates pass by them by like the days of their lives. First published in Al Akhbar English on June 21, 2013.